The electrons of an atom are distributed around its nucleus in orbital called energy-level shells or clouds of electrons. Location of these electrons greatly influences reactions. Seven energy level shells are possible. Each shell can hold only a certain number of electrons. 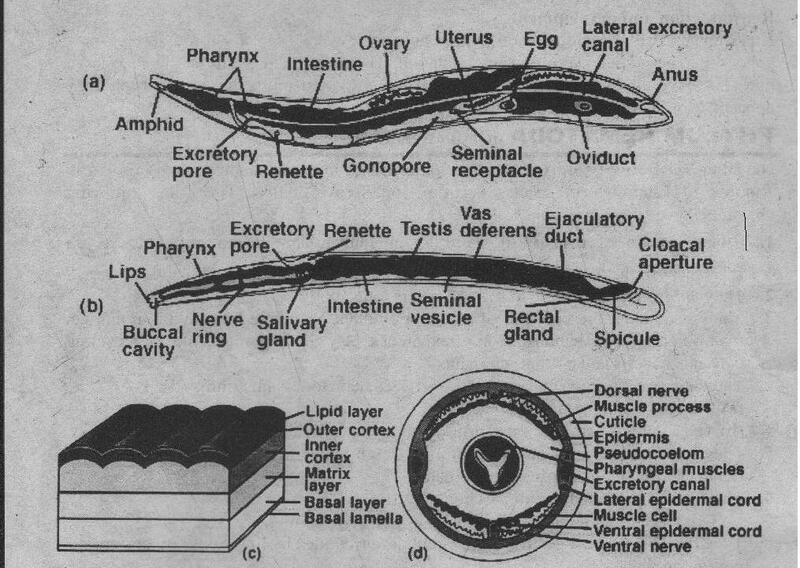 The shell nearest the nucleus has two -electrons. The second and third shells have eight electrons. Larger numbers fill the more distant shells. The shell is complete and stable when it holds the maximum number of electrons. Some atoms have an incomplete or unstable outer shell. They try to gain, lose, or share electrons with another atom. For example, an atom of sodium has eleven electrons. Two are in the first shell, eight in the second shell, and one in the third shell. Thus it loses single electron from its outer shell. Therefore, this atom tends to form chemical bonds with other atoms. It fills the second shell and makes the atom stable. 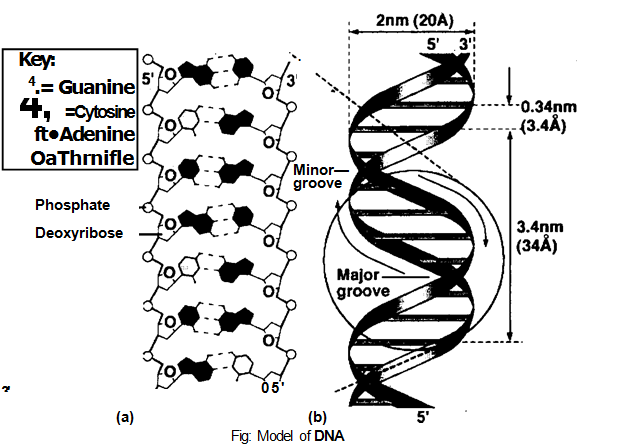 compound is composed of atoms of two or more elements chemically nited in fixed proportions. For example, water has two Hydrogen atoms and ne Oxygen atom. This composition does not change. The atoms interact hemically to form molecules. The chemical bonds hol the atoms together. hree types of chemical bonds are covalent, hydrogen, and ionic. 1) Single covalent bond: It is formed by the sharing of single electron. Its example is hydrogen [HH] molecule. i) Double bond: Double bond is formed by the sharing of two pairs of electrons. Its example is oxygen [0=0] molecule. ii) Triple covalent bond: Triple bond is formed by the sharing of three electrons. Its example is nitrogen [NN] molecule. )alanced. Therefore, the molecule as a whole is neutral. b) Polar covalent bond: The electrons spend more time orbiting the oxygen lucleus than the hydrogen nuclei in water molecule. Therefore, the electrical 2.harge is asymmetrical. Such bond is called a polar covalent bond. The oxygen atom develops slightly negative charge. The hydrogen atom develops a slightly positive charge. But the entire molecule is electrically neutral. 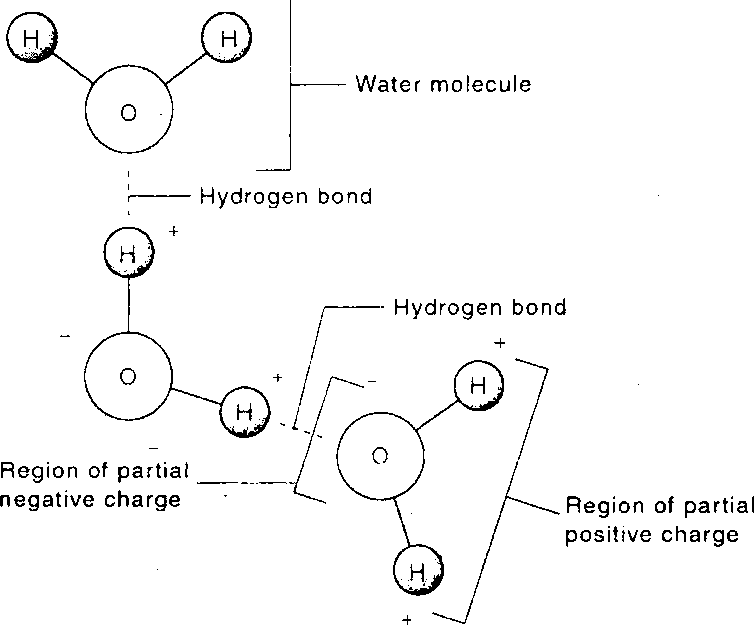 The shapes of the H20 molecules show this polarity. They are present in the linear arrangement. The two hydrogen atoms are at one end. They form corners of a triangle. This shape and polarity forms the hydrogen bond. 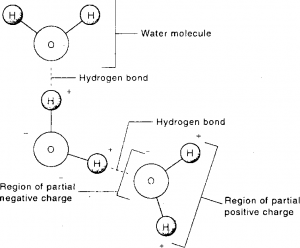 The electrostatic force of attraction between electronegative atom and partially positively charged hydrogen atom is called hydrogen boding. The hydrogen electron is attracted toward one another atom. It leaves a proton behind. As a result, the hydrogen atom gains a slight positive charge. The remaining proton is attracted to negatively charged atoms like oxygen. Thus a weak attraction is formed between two atoms. It is called a hydrogen bond. The hydrogen atom in one water molecule forms a hydrogen bond with the oxygen atom in another water molecule. The bond formed by the attraction of opposite ion is called ionic bond. An atom gains or loses electrons. Thus it acquires an electrical charge. So it is called an ion. There are two types of ions. -(i) Cation: A positive ion is known as a cation. An atom loses one or more electrons. Thus it becomes positively charged. Now it has more positive charged protons in the nucleus. This positive charge is shown as one more “plus” signs. Examples of cations are sodium (Nat), potassium (K+ hydrogen (He). Sodium atom and chlorine atom come together. The sodium atom donates a electron to the chlorine atom. This electron changes the balance between nil protons and electrons in the two atoms. The sodium atom gains one more protoi than it has electrons. The chlorine atom gets one more electron than it hat protons. The sodium atom is left with,a net charge of 1. (Nat), and the net chargE of the chlorine atoms is 1- (Cp. These opposite charges attract each other anc form the ionic bond.